The term anti-Semitism was created in the age of Enlightenment, when the pseudo-science of eugenics laid the seeds of Nazism. The unsubtle racism of neo-Nazis remains a lightning rod for mainstream outrage today, however religious and political hostilities against Jews are often unacknowledged for what they are. The anti-Judaism of Islamic extremists both in the Middle East and migrant communities is a rising concern, as are the creeping tendencies in some European nations to restrict the rights of their remaining Jewish citizens. However, it is the increasing acceptance and elevation of anti-Zionists across the world that is cause for particular concern. Those who deny the Jewish people, and only the Jewish people, the right to live in freedom and security in their homeland are routinely paraded as the picture of progressive politics. When nations like Iran arm their bigotry with ballistic missile programs and powerful proxies like Hezbollah, they can expect acquiescence and appeasement from much of the world. The inalienable right to self-determination is the one guarantee that Jews can never become victims to genocidal regimes again. Anti-Zionism is an ideology which perpetuates the political oppression of Jews, and by doing so legitimizes and encourages violence in Israel and the Diaspora. It can be verboten in some circles to call out these activists or dictatorial regimes for their beliefs. Nevertheless, those who seek the political oppression of Jews must not be held to a lower standard of bigotry than their religious or racially motivated counterparts. 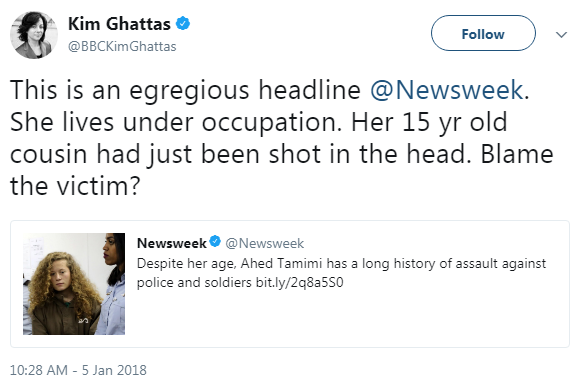 Fake News is old news to Jews. Today’s anti-Israel agenda, hailed from college classrooms to the voting chambers of the United Nations, regularly tells of a world in which Solomon’s Temple never stood, Jews were not in Israel and the Middle East for thousands of years, and that Zionists were complicit in the Holocaust. The numbers are telling, he said. There are now about 170,000 Jews in Russia, according to Mark Tolts, a Hebrew University demographer. That’s a tenth of the community’s size in 1989, as counted in the last Soviet census. Factors like an aging population, low birthrate and increased immigration to Israel make Shrayer wonder what the country will look like in 50 years. This film, sadly, is far from the end of the story. Watching Yitzhak Rabin sing the words to “Shir LaShalom” — “Song for Peace”— along with Peres just moments before he was assassinated is especially heartbreaking. Knowing that these events took place more than two decades ago and little has changed is disheartening, and this film serves more as a chronicle of history than any call to action since those involved know that there is no easy solution. The Oslo Diaries is certainly less controversial than the last documentary filmmakers Mor Loushy and Daniel Sivan brought to Sundance. Censored Voices featured recorded testimonies of Israeli soldiers lamenting their misdeeds during the Six Day War, something that, while seemingly true, was seen as easy fodder for critics of Israel to use to denounce it is an imperialist state with an illegal military. Loushy and Sivan seem determined to continue presenting stories that might not always be warmly received, like Sivan’s recent editing of the disturbing documentary Death in the Terminal, which explores the beating and killing of an innocent Eritrean refugee mistaken for a terrorist after an explosion at a bus station. Extensively featuring Bibi Netanyahu in archive footage in The Oslo Diaries railing against Rabin and then being elected prime minister after his death is far from a subtle message that they believe his government isn’t helping the peace process. 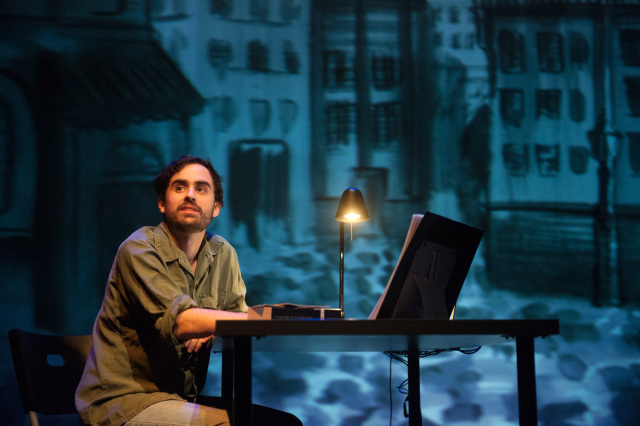 There are many stories to tell about Israel and the conflict in which it remains eternally engulfed, and this spotlight on an unlikely early step forward is an optimistic and detailed one, presented as a meeting of two sides in a middle that for so long couldn’t have existed. It’s informative, affirming, and positive while things are going well, and a reminder that there is a way to see the other side. The Shoah was one of the gravest tragedies in history, yet many countries were apathetic and indifferent at the time. It took quite a while for the United States to take action. 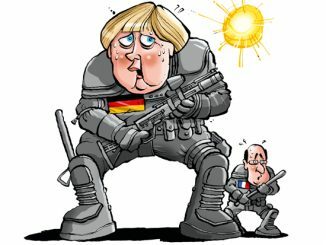 The United Kingdom was aware of what was happening, nevertheless, it initially followed a policy that emboldened Hitler. Today, even though in Western countries the Holocaust has acquired its status and is affirmed in the legislation of many, things are quite different in the Muslim world. One-sided propaganda and a lack of information on how the Jews were massacred and the horrors of the gas chambers, the concentration and exterminations camps, leave many Muslims totally indifferent to the inhumane brutality of the Nazis and their collaborators. Thus, it is incumbent on Muslims to put the facts of history straight by examining this horrendous crime against humanity. The Holocaust did not occur in a vacuum. It was based on antisemitic beliefs, the ancient hatred of the Jews. Hitler used his ideological propaganda to reawaken this dormant sentiment among millions. He used the power of his oratory and persuaded millions into believing that the Jews, who represented less than 1% of the entire German population, had to be eradicated ruthlessly. The Nazis began by targeting the Jews with ideological propaganda to indoctrinate the German people with hatred and hostility against the Jews. “Propaganda tries to force a doctrine on the whole people,” Adolf Hitler wrote in his book Mein Kampf in 1926. He advocated the use of propaganda to spread hatred against Jews and other minority groups. When the Nazis came to power in 1933, they established a Reich Ministry of Public Enlightenment and Propaganda, headed by Joseph Goebbels. The aim of this “black propaganda” machine was to spread throughout Germany enmity against the Jews and other minority groups that were targeted, the “undesirables,” as they were coined. The Nazis also initiated a boycott aimed at Jewish shops and businesses, a similar antisemitic strategy to what we see in today’s BDS (Boycott, Divestment and Sanctions) movement. Throughout Germany posters were hung, portraying the Jews as ugly monsters and carrying slogans like “Don’t buy Jewish goods.” In 1940, the antisemitic film The Eternal Jew was screened in cinemas all over Germany. In schools, teachers warned their students of the so-called “Jewish menace,” and during lessons Jews were wickedly insulted and maligned. Ronen Bergman’s “Rise and Kill First,” a 630-page chronicle of “targeted assassinations” by Israel, pre-state and in the 70 years of statehood, is filled with frequently staggering revelations and claims. The author, who said he carried out 1,000 interviews, gained access and pored through innumerable crates of previously unpublished documents, and worked on the book for eight years, highlighted some of the most dramatic disclosures in a two-hour interview with The Times of Israel. Some of his discoveries shed new light on familiar episodes. Others venture into hitherto entirely unfamiliar territory. Former London mayor Ken Livingstone appeared on Iranian state television to discuss the topic “Has the Holocaust been exploited to oppress others,” repeating his claims that his claim that Hitler worked with the Zionist movement. At the same time, host Roshan Muhammed Salih talked about how the Holocaust has become an “industry.” He also said “I don’t know if 6 million died or four million or two million died…no point arguing over figures, is there, Ken?” Livingstone responded that there is “no credible alternative” to the six million figure. * You called the Islamic Centre of England “a wonderful centre” and said it was a “great honour” to be there. * You then hailed Iran, which has driven so many Iranian Jews and Ahwazi Arabs into exile, for its “tolerance”. Yes, you really did. The Jewish community has always been present in Tehran; the Zoroastrians have always been there, as have people of many other faiths. There is much to be very proud of in the history of Iran and in the tolerance of ordinary people in Iran towards those of different faiths. * To make it worse, in this instance you were referring to an earlier speech by the Centre’s director, which was an ode to Khomeini. The problems of today stem from the history of relations and the history of European relations with all the countries in the region. * In fact, a real problem, you noted, was the “demonisation” of Iran. * You also praised Iran for being helpful in the Syrian conflict. Yes, the murderous regime backing Assad. That Iran. I also recognise that Iran is a member of the United Nations Human Rights Council, which I also attend, and Iran, like every other country, must undergo its universal periodic review. Every country has to undergo it. And I raised these questions with the foreign minister during our visit [to Iran] and the assurance was given that the full response will be given at the UN Human Rights Council in June, as is required. The message I got from my visit was that Iran is a country that is strong, a country with the most amazing history. I respect Iran’s history. I respect what brought about the revolution in 1979. I am glad we could clear this up for you. The United States government’s restrictions (or “ban”) on the admission of travelers from six Muslim-majority countries (which were chosen by former President Obama) — unless, as President Donald J. Trump has said, there can be vetting — triggered the anger of the Western academic community. Their distress seems to center around the exclusion from the United States of researchers and scholars from Islamic countries sanctioned by the American administration. Harvard, Yale and Stanford sued the White House. 171 scientific societies and academic organizations protested what they wrongly titled Trump’s “Muslim ban”. “Among those affected by the Order are academics and students who are unable to participate in conferences and the free communication of ideas”, says an appeal signed by 6,000 scientists, academics and researchers around the world. What is more “progressive” than a Western academic community struggling to keep the scientific gates open? 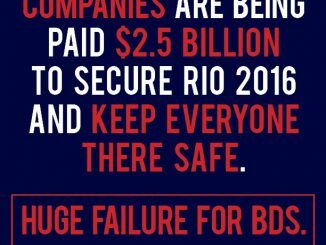 Sadly, however, many of those who have promoted these appeals have been instrumental in spreading other, racist, appeals to boycott their Israeli colleagues. It is, in the same universities, the “Israel Ban”. The discrimination is not directed at scientists from Yemen or Somalia, but only at those with a passport from the Jewish State. Nadine el Enany, for instance, the first signatory of the appeal against the United States “Muslim ban”, is one of the signers of the appeal to boycott her Israeli academic colleagues. The same double standards apply to Sarah Keenan and Bill Bowring, and to Italian professor Paola Bacchetta, who teaches “gender studies” at Berkeley. Arshin Adib-Moghaddam, a professor of literature at SOAS University in London, announced that, to protest Trump’s supposed “xenophobia”, he will cancel a U.S. tour for his book. What about protesting his own xenophobia? A progressive “conscience” did not prevent Adib-Moghaddam from also signing an appeal to boycott Israeli researchers and professors. Every day in the main stream media we hear antisemites ‘people opposed to the Israeli government’ spew hatred and lies against Israel and say “it is not antisemitic to point these things out”. 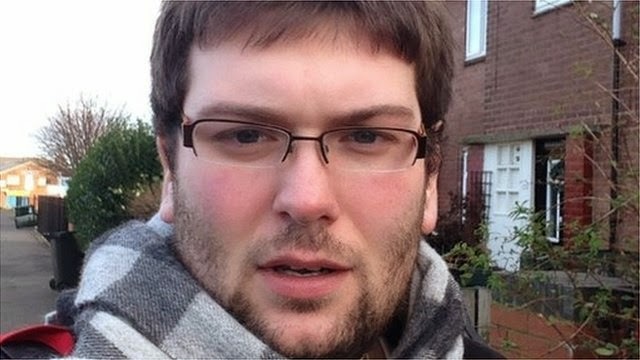 In Britain – if any response at all is offered – it is usually in the form of an apologetic ‘Jewish spokesperson’ who, instead of challenging the lies about Israel, says meekly: “It is antisemitic to blame British Jews for the actions of the Israeli government”. This short video explains what the response should be. …Williams previously told WWL-TV he felt duped by the New Orleans Palestinian Solidarity Committee that had pushed the original resolution. Dec 25, 2017 – “We will continue to work consistently to expose European funding for Palestinian organizations that delegitimize [Israel].” Norway’s decision comes just days after fellow Scandinavian country Denmark said it will revoke funding from several Palestinian NGOs and tighten aid criteria for others after they were found to be tied to anti-Israel activities. Aug 22, 2017 – “In halting payment to WATC [Women Affairs Technical Committee], the Swiss follow similar moves by Denmark and Holland. 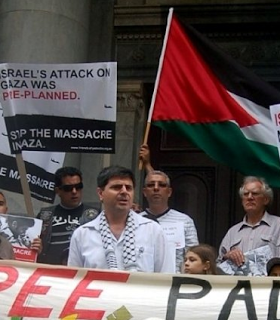 The radical Palestinian NGO is one of many funded by these countries through the Ramallah-based Human Rights Secretariat, with an annual budget of $4 million,” he added. So did BBC audiences see any improvement in 2017? In February BBC One’s “moral, ethical and religious” debate programme ‘The Big Questions’ aired a discussion billed “should we trade with Israel now settlements are recognised?” which included contributors from controversial organisations that support the BDS anti-Israel campaign – without audiences being informed of that fact. In March the BBC News website reported a story about a member of the Palestine Solidarity Campaign denied entry to Israel but – despite the obvious relevance to the story – failed to inform audiences what the BDS campaign aspires to achieve. In April BBC Two audiences were given an airbrushed account of the aim of the BDS campaign and visitors to the BBC News website were told that it is “a human rights organisation”. Some 30 protesters gathered outside of an Arab-style bakery and restaurant in Oakland, California, to protest a life-size mural in the shop featuring convicted Palestinian terrorist Rasmea Odeh. Sunday’s vigil also protested a book reading and signing by Sunaina Maira, an Asian-American studies professor at the University of California, Davis, whose new book is about boycotting Israeli academic institutions, the East Bay Times reported. The vigil is part of a series of protests against the mural by a group called Oakland United Against Hate, the newspaper reported. About 15 people from local social-justice groups, including the Arab Resource and Organizing Center, who support the eatery, monitored the protest. Several months ago, owner Reem Assil filed a restraining order against at least one of protesters. Those who vehemently oppose Israel paint themselves as human rights defenders, compassionate people who care about humanity and the rights of all to live their lives in dignity. And from my experience, this is true in some cases. They are just ignorant about what is going on, either because they have been brainwashed to believe the other side’s narrative, or just refuse to dig deeper beyond the headlines and news photos that mislead. 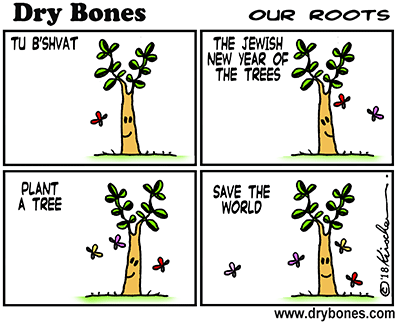 However, I find that in a majority of cases, prejudice against Jews and outright antisemitism are at work, like my regular anti-Zionist-not-antisemite series illustrates. And if it was not at all abundantly clear already from their dehumanization of Jewish people, these haters really do not care about human rights at all. 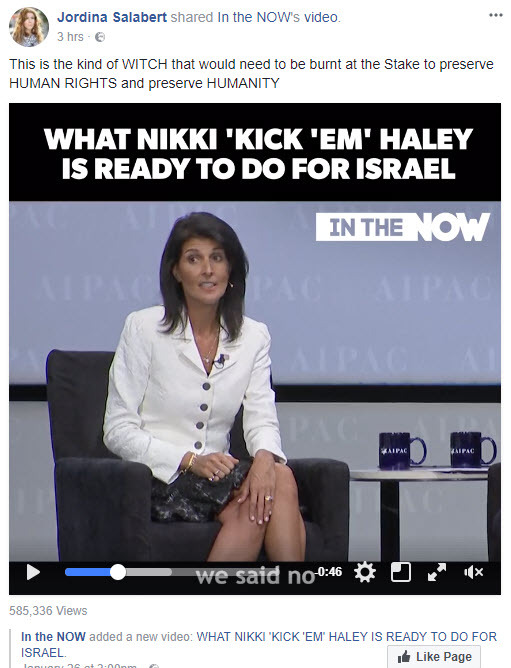 In the latest example of this, anti-Zionist-not-antisemite Jordina Salabert aka Jil Love recently posted this about (the incredible) Nikki Haley. 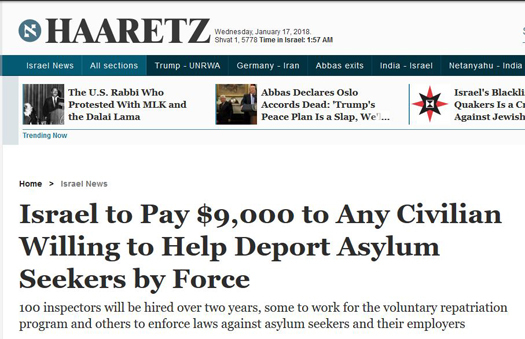 Earlier today, CAMERA’s Snapshots blog posted about headlines in Quartz (a digital business media outlet) and Haaretz which falsely stated that Israel is paying civilians $9000 to capture or deport African asylum seekers. Haaretz commendably corrected its erroneous Jan. 12 headline (seen below) yesterday, and Quartz has yet to correct. Meanwhile, The Jerusalem Post has also corrected. What’s the real story? As Haaretz’s corrected headline (below) makes clear, as does the accompanying article, Israel’s Population and Immigration Authority launched a recruitment drive to attract new inspectors, offering bonuses of up to $9000. Last month, Israel took significant steps to solve humanitarian problems in Africa, and we drew attention to the fact that this was completely ignored by the UK media. This month, the pattern has continued, this time regarding Israel’s burgeoning ties with India. With a population of 1.2 billion, India is the world’s second most populous country, and its highly rural population faces some of the largest humanitarian issues in the world. The numbers are staggering: 240 million Indians are not connected to electricity, 63 million Indians do not have access to clean water, and in 2016, 330 million Indians were affected by drought. Last week, six months after Prime Minister Modi’s historic trip to Jerusalem, Prime Minister Netanyahu became the second Israeli Prime Minister to visit India. During his six-day trip, Netanyahu witnessed existing Israeli projects in India, and he and his delegation signed deals and announced new projects. Israel Hosts Thousands at Biggest Cyber Technology Conference Outside of U.S. 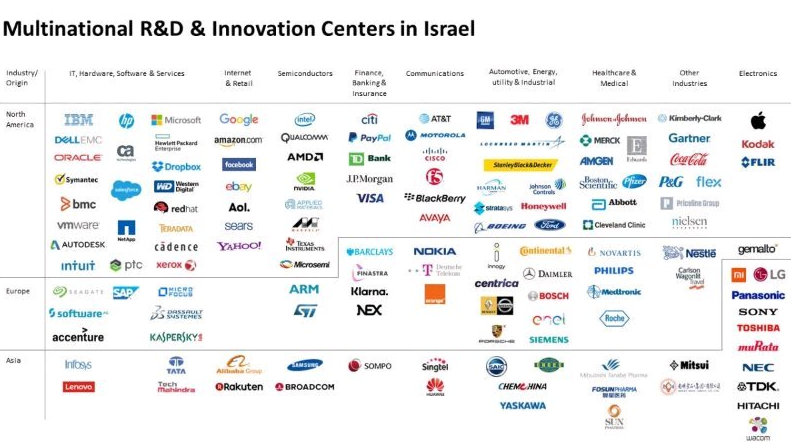 Some 13,500 attendees, 120 companies, 90 startups and 67 multinational delegations are expected at Cybertech Israel conference and expo, January 29-31 at the Tel Aviv Convention Center. Cybertech Israel, the biggest annual cyber technologies event outside of the United States, will showcase commercial problem-solving strategies and solutions for the global cyber threat in a wide range of sectors: finance, transportation, utilities, defense, R&D, manufacturing, telecommunication, health and government. Among special events planned are Cyber NYC sponsored by the New York City Economic Development Corporation, Tech against Terrorism sponsored by the UN, Cyber for Airports, Cybermed, and sessions focusing on cyber for trains, ports and maritime. A startup competition powered by YL Ventures will gift the lucky winner with two tickets and airfare to the RSA security conference in San Francisco next April. A new special feature this year will be Cyber Junior, a platform sponsored by the Rashi Foundation enabling 120 Israeli teenagers to attend event and the startup competition, and meet presenters and featured speakers. What? There were Jews in Somalia?! Little did Levey know that he had brought to light what only a few knew – that there had been a Jewish presence in Somalia. I had stumbled upon the article by chance. I was living in St. Paul-Minneapolis at the time, which has the largest Somali diaspora in the world. After 9/11 the police took note of the burgeoning Somali community. The majority are law-abiding citizens, yet Minnesota has achieved the distinction of being the recruitment center for Islamic State (ISIS) in the US. His record label Trikont said Schumann died Sunday in Berlin, the dpa news agency reported Monday. Schumann made a name for himself as a young musician in Berlin’s underground jazz and swing scene in the 1930s. He was arrested in 1943 after authorities learned his mother was Jewish, and deported to the Theresienstadt concentration camp in German-occupied Czechoslovakia. There, he played in a band known as the “Ghetto Swingers” before being transferred to Auschwitz in 1944, where he played music to entertain guards. Schumann was featured in a 2013 documentary called “Refuge in Music,” about the life of Jewish musicians, composers and artists under the Third Reich.